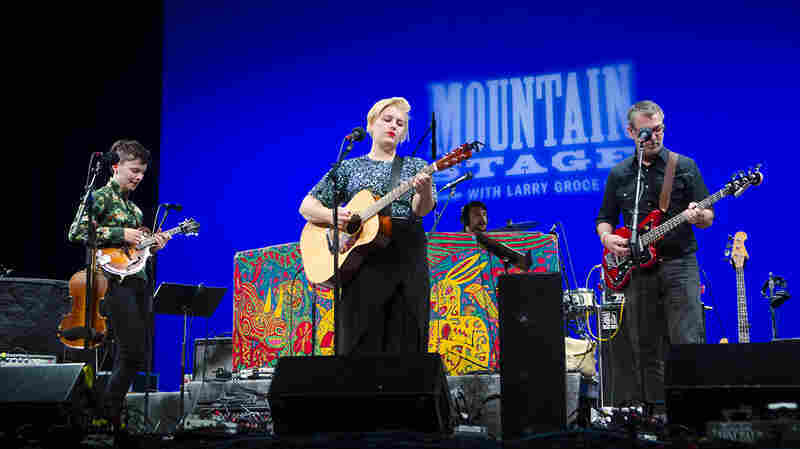 Jeff Daniels And The Ben Daniels Band On Mountain Stage The Emmy-winning actor is also a prolific recording artist, guitarist and songwriter. 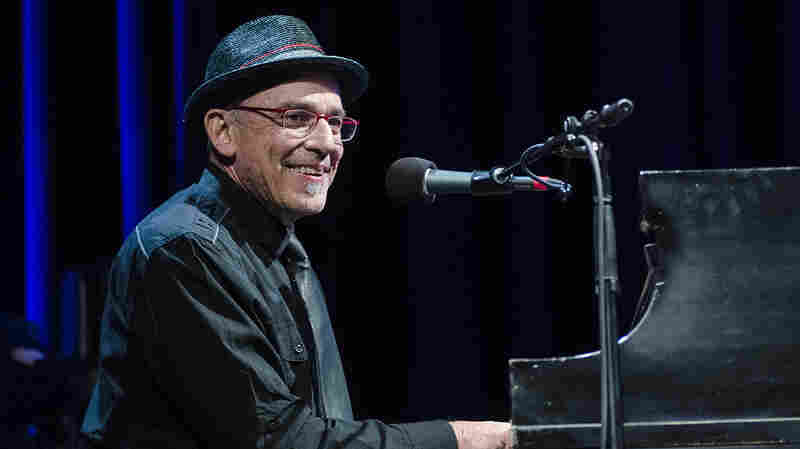 Daniels' latest album, Acoustic Sittin' Tour 2018, features his family band. 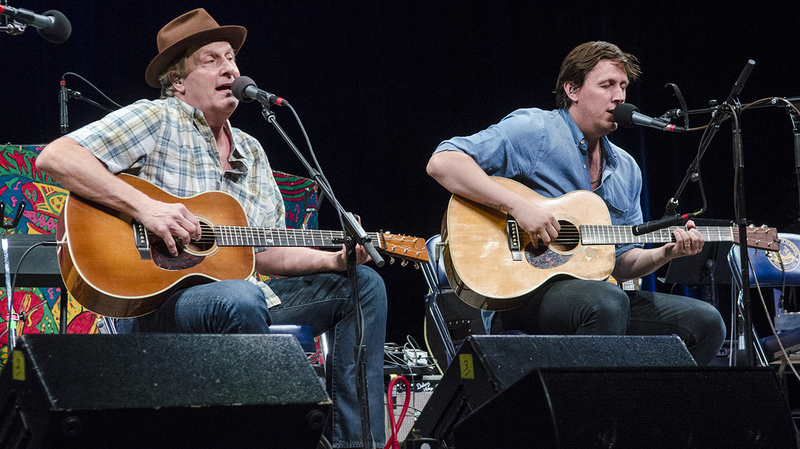 Jeff Daniels and his son, Ben Daniels, perform on Mountain Stage. Highly regarded, Emmy-winning actor Jeff Daniels is also a versatile guitarist, singer and songwriter, as you'll hear in his third appearance on Mountain Stage since 2007. 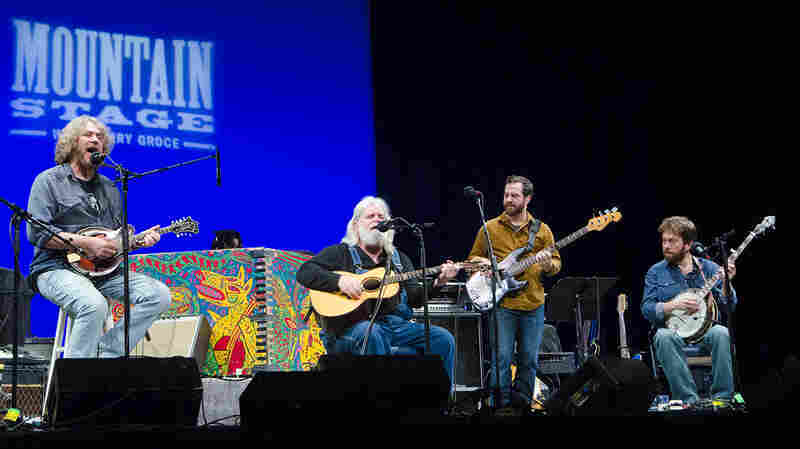 This time, Daniels brought his family band, led by his son, Ben, for a performance similar to its latest live album Acoustic Sittin' Tour 2018. Daniels started the set solo with his humorous "Fifty Shades of Gray." 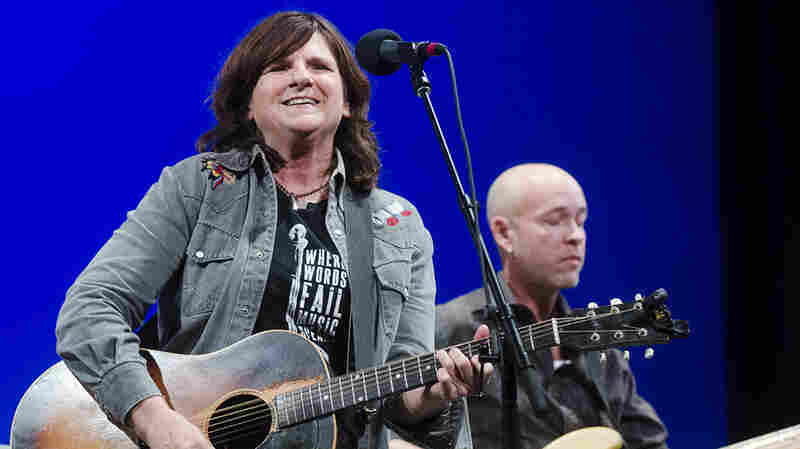 Another original song followed, "Good on the Bad Side of Town," filled with memories of his father who Daniels describes as "a small town man with a big heart and a lot of wisdom." 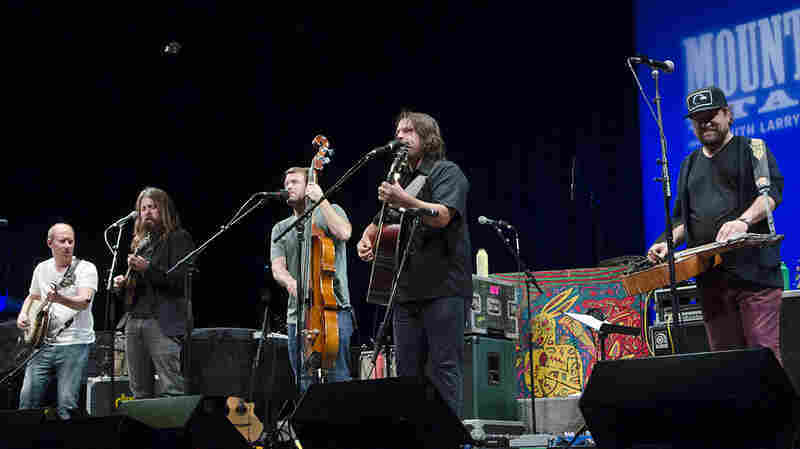 Ben Daniels joined in on acoustic guitar and harmony vocals midway through the encouraging and cautionary song: "Bad luck just happens / Sometimes dreams don't come true / By being kind to strangers / you run the risk of them being kind to you." 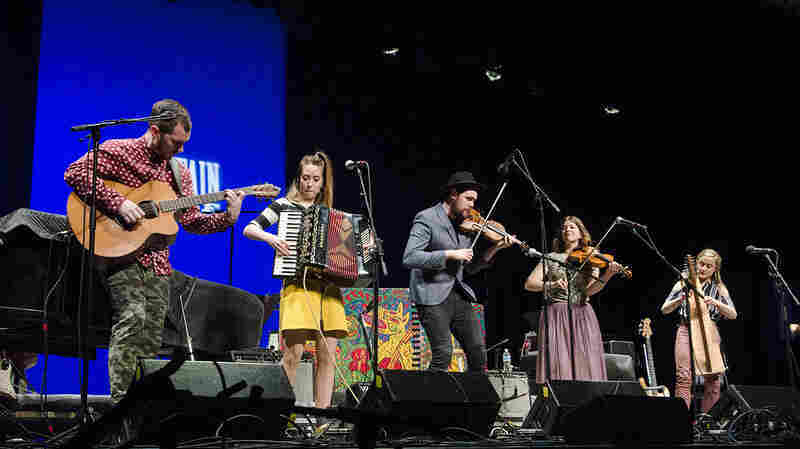 Band members continued to file in as the set progresse, adding Wes Fritzemeier on mandolin and fiddle and Tommy Reifel on bass. 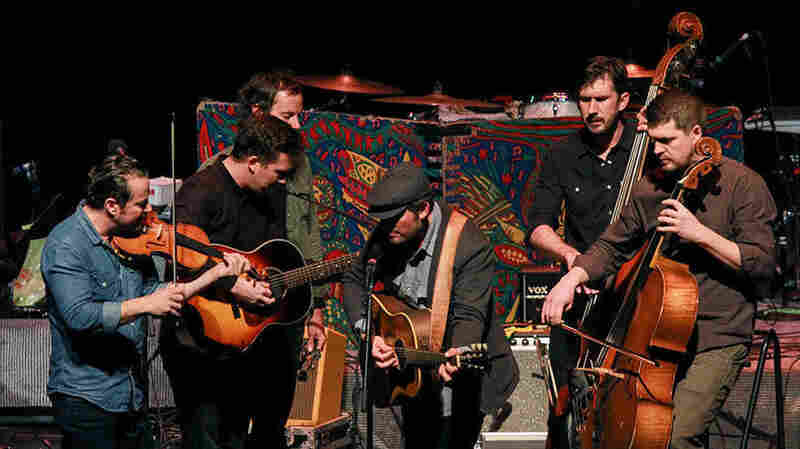 The lone cover, "Last Train to Clarksville," created some playful interaction between band members, with Fritzemeier stretching out on mandolin. 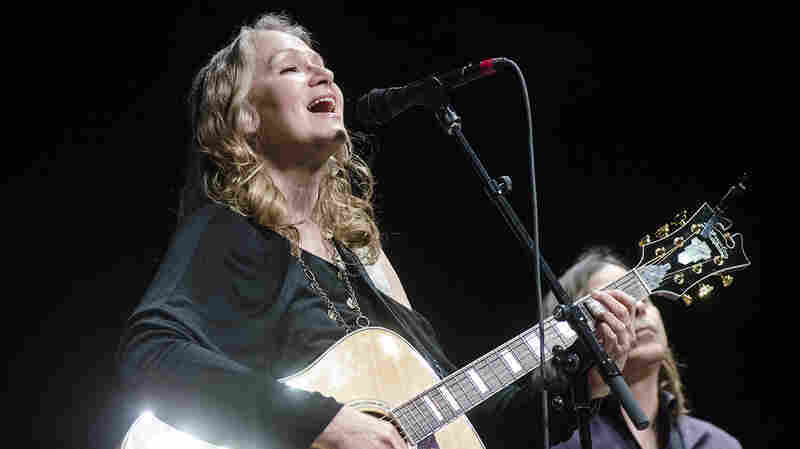 The group is joined by Jeff Daniel's daughter-in-law, Amanda Daniels, who handles lead vocals on "Back When You Were Into Me," a song Daniels said was drawn from a conversation he overheard on the set of Newsroom. Since this performance was recorded, Daniels was awarded his second Emmy, this time for Outstanding Supporting Actor for his role in the Netflix Western Godless. This fall, Daniels takes on the role of Atticus Finch in Aaron Sorkin's adaptation of To Kill A Mockingbird on Broadway. "Good on the Bad Side of Town"
"Back When You Were into Me"